Need more information about booking Home 7336317 ? 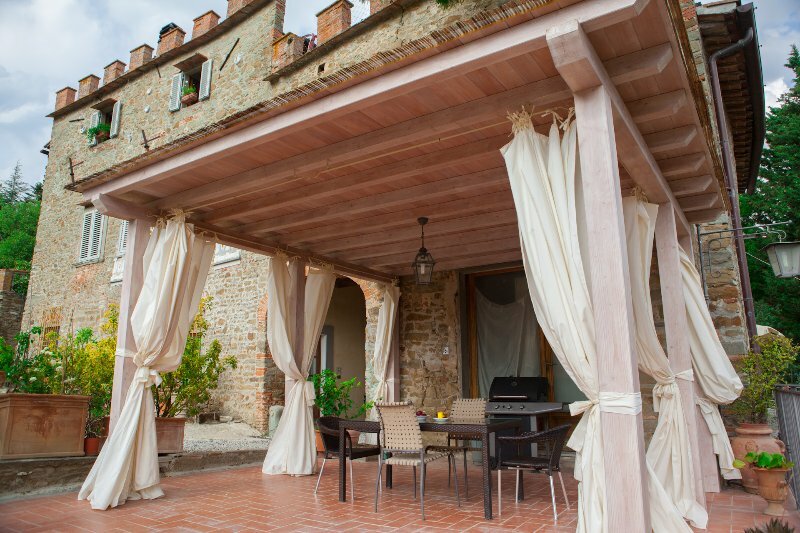 The unit “Portico” is situated in front of the Villa. The unit is composed of a kitchen with living area (equipped with 4 ring stove, electric oven, microwave, toaster, kettle, and dishwasher), 2 bedrooms and 1 bathroom with shower. The aesthetics of this apartment include original italian tile floors, wood coffered ceilings, and antique furnishings.